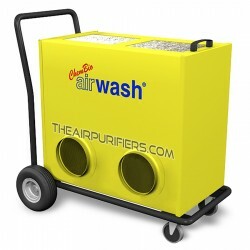 Amaircare AirWash MultiPro features the AirWash MultiPro Patented modular design, the Amaircare AirWash MultiPro customizable filters and the Amaircare powerful motor to provide effective affordable air quality solutions for Renovation, Restoration and Remediation contractors. Designed from the ground up with the contractors' needs in mind Amaircare AirWash MultiPro is every contractor a must-have air purifier. 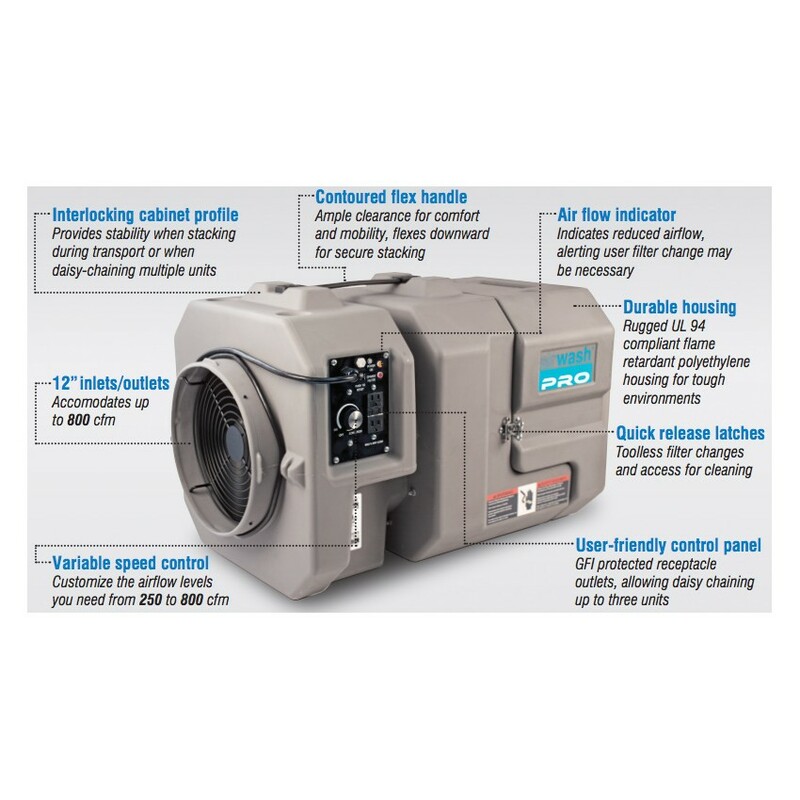 The Amaircare AirWash MultiPro Patented modular design with Quick Release latches allows toolless access for speedy on-site filter cleaning, replacements and maintenance. 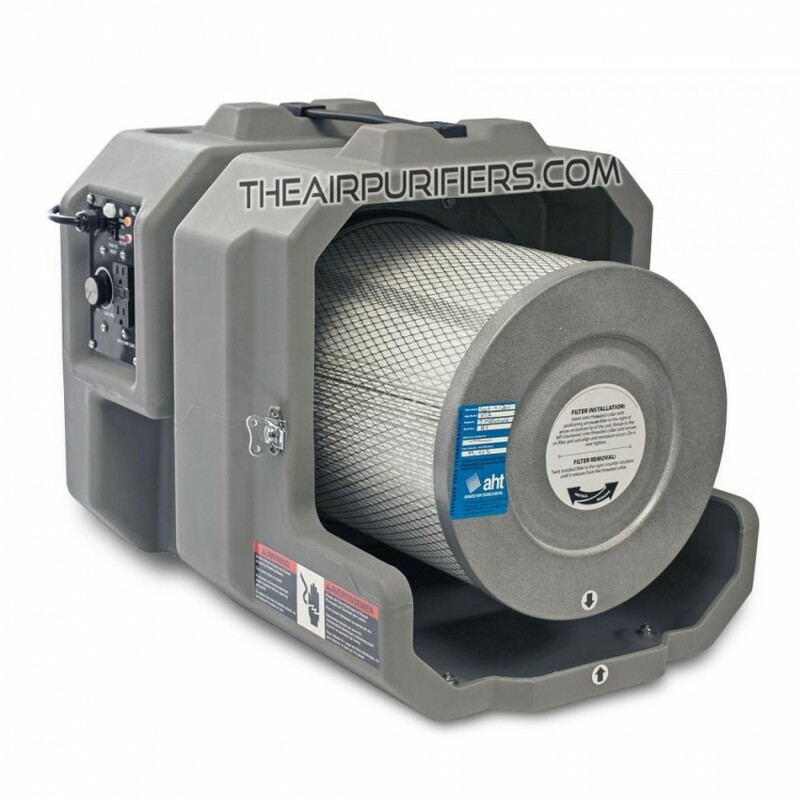 The Amaircare AirWash MultiPro multiple filter options allow to setup various configurations of the air filtration system for diverse air cleaning applications. 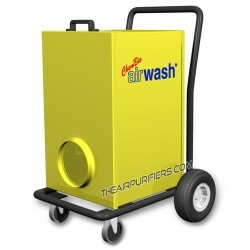 Amaircare AirWash MultiPro Rugged Durable Housing. 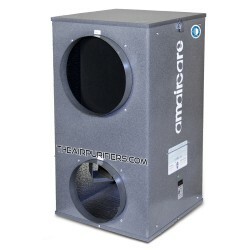 The Amaircare AirWash MultiPro durable impact resistant housing made of flame retardant plastic ensures trouble-free operation in most demanding and challenging conditions. Amaircare AirWash MultiPro Lightweight Portable Construction. The Amaircare AirWash MultiPro Lightweight housing equipped with standard Contoured Flex Handle and the Optional wheels with pull strap ensures a high level of mobility and portability required for contractors on the go. 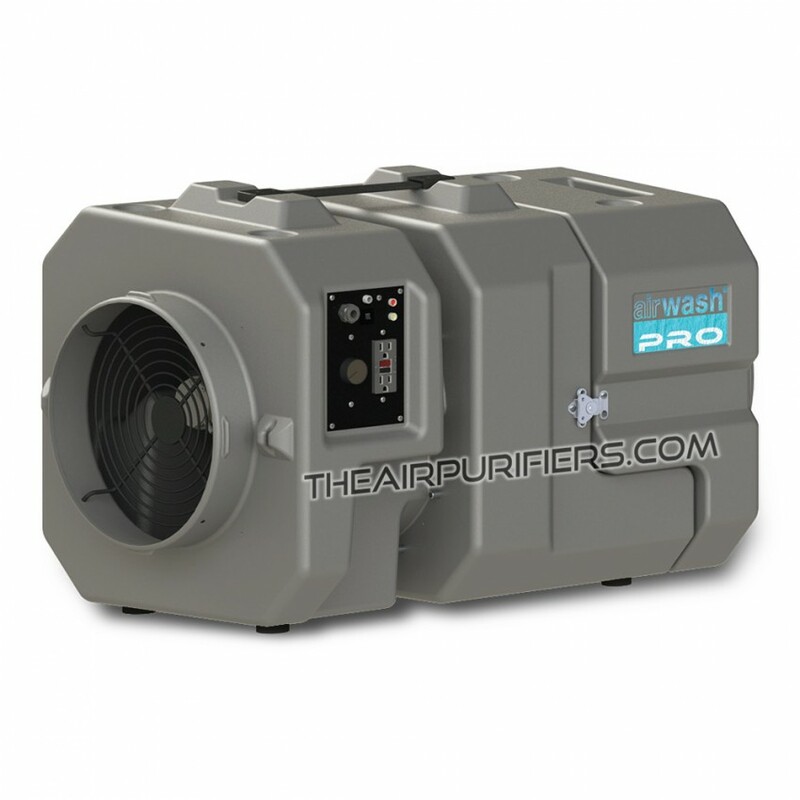 Amaircare AirWash MultiPro Powerful 800 CFM Rated Motor/Fan. 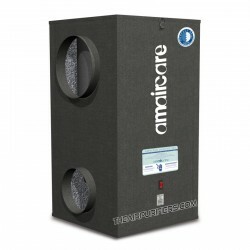 Amaircare AirWash MultiPro Patented Interlocking Cabinet. The Amaircare AirWash MultiPro Interlocking cabinet profile allows to stack up to 3 units and provides stability and security during transportation or when daisy-chaining multiple units. Amaircare AirWash MultiPro Stackable Scale Up Capability. 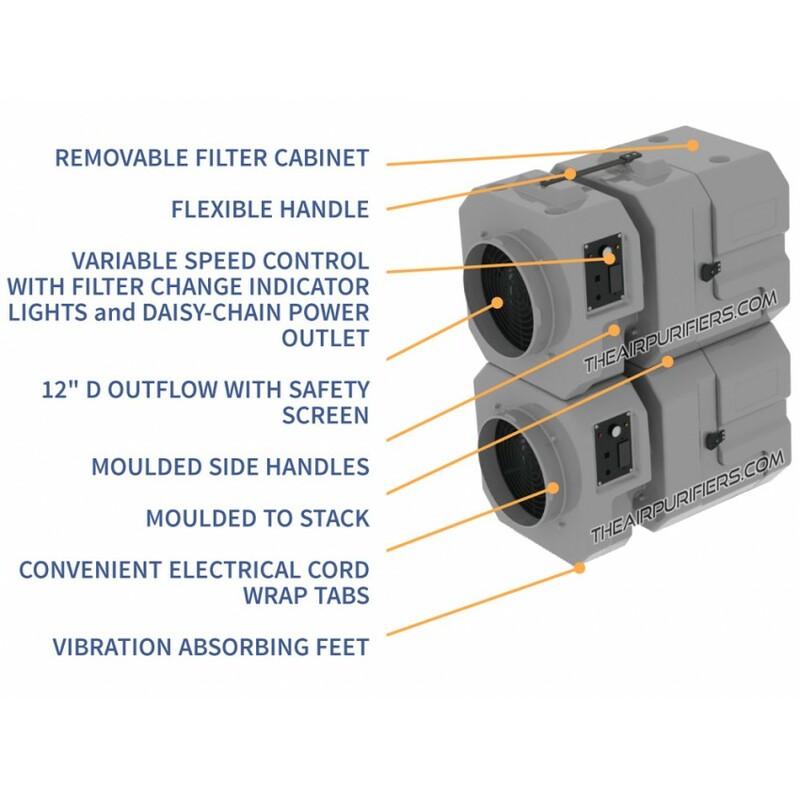 Daisy-Chain up to Three Amaircare AirWash MultiPro Units on a single 9 Amp circuit with Built-in GFI protected receptacle outlets to scale up or diversify the air cleaning power and performance. The Amaircare AirWash MultiPro Air Flow indicator alerts about a reduced airflow indicating when it's time to clean or replace the filters. Amaircare AirWash MultiPro Won't Break the Bank. 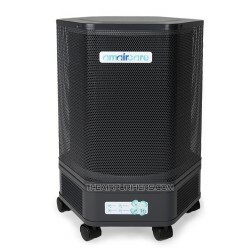 Amaircare Airwash MultiPro is an affordable alternative to otherwise costly contractors air purifiers. 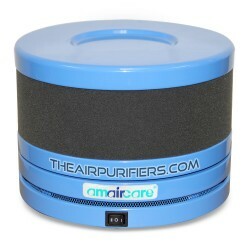 Amaircare AirWash MultiPro Ships Free anywhere in continental USA (currently not shipped in Canada). No US Tax, No border crossing fees - ships from the US warehouse. 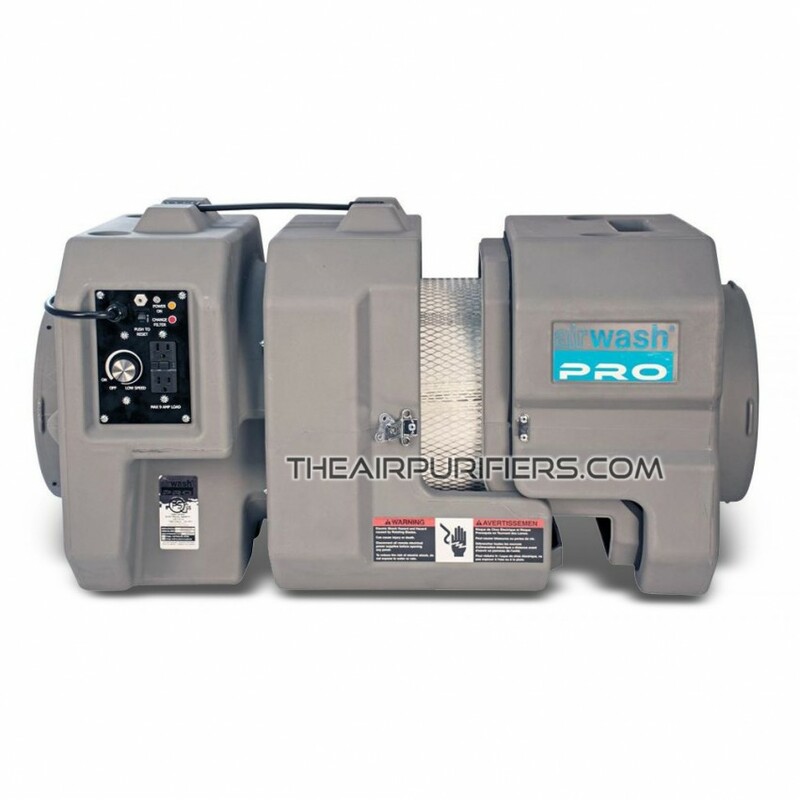 Amaircare AirWash MultiPro 5-Year Limited Manufacturer's Warranty. Amaircare AirWash MultiPro comes with a Peace-of-Mind 5-Year limited manufacturer's lwarranty. Media pad pre-filter - 1 ea. Pleated Pre-filter MERV 8 - 1 ea. 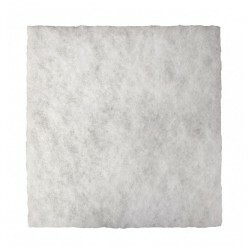 Foam pre-filter for True HEPA or ULTRA VOC canister - 1 ea. 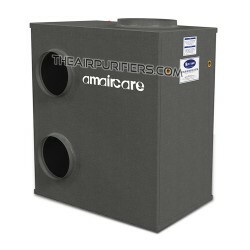 Amaircare AirWash MultiPro for Large Capacity Particulates Removal and Adequate Chemical Adsorption. 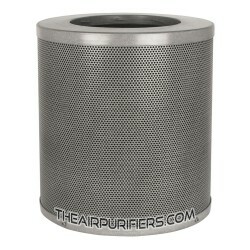 Perfect Seal™ 14 inch True HEPA filter of Easy-Twist toolless design boasts an impressive 88 sq. ft. of 99.97% @ 0.3 micron efficiency True HEPA media for Large Capacity particulates entrapment - asbestos dust, smoke, fine construction dust, ground talc, mold spores, plant spores, pet dander, etc. 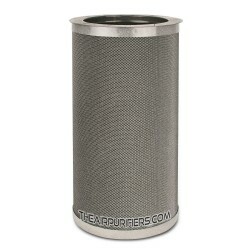 Carbon Blanket Inner Filter is a 1/2-inch thick non-woven polyester based filter imbued 200% with Activated carbon provides adequate adsorption of chemicals, cigarette smoke, household odors and light VOCs. Amaircare AirWash MultiPro for Large Capacity Particulates Removal and Enhanced Chemical Adsorption. 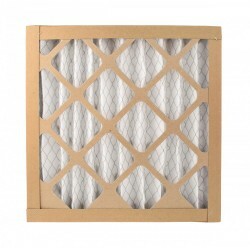 Perfect Seal™ HEPA filter of Easy-Twist toolless design traps over 99.97% of all particulates down to 0.3 micron in size. 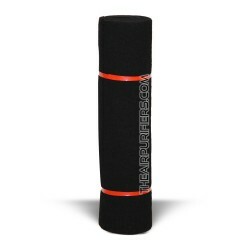 Inner VOC Canister with 5 lb. of 100% Activated Granular Carbon ensures enhanced adsorption of smoke, heavy chemicals and moderate VOCs. Inner VOC Canister with 5 lb. of Formaldezorb proprietary adsorbent delivers enhanced abatement of moderate Formaldehyde, VOCs, ammonia. 3. ULTRA VOC Canister with 25 lb. of 100% Carbon or Formaldezorb - NO HEPA. 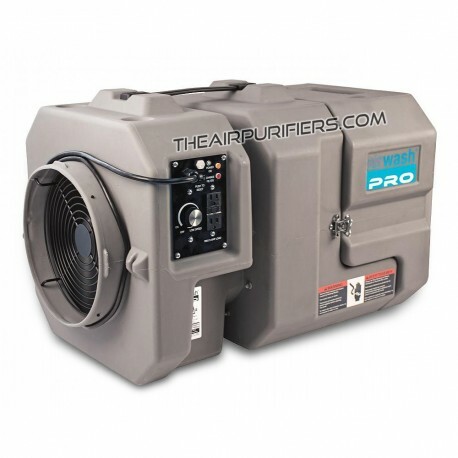 Amaircare AirWash MultiPro for Extra Large Adsorption Capacity for VOCs, Formaldehyde, Heavy Chemicals, Smoke. 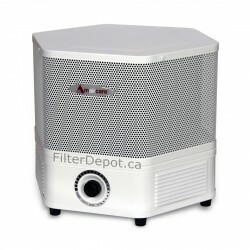 True HEPA filter is replaced (substituted) with 14-inch ULTRA VOC Canister containing massive 25 lbs. of adsorbent. ULTRA VOC Canister with 25 lb. of 100% Activated Granular Carbon provides Extra Efficient adsorption of VOCs, smoke, heavy chemicals. ULTRA VOC Canister with 25 lb. of Formaldezorb proprietary adsorbent ensures Extra Efficient abatement of Formaldehyde, heavy VOCs, Ammonia, Specific chemicals. 4. ULTRA VOC Canister plus Inner VOC Canister. 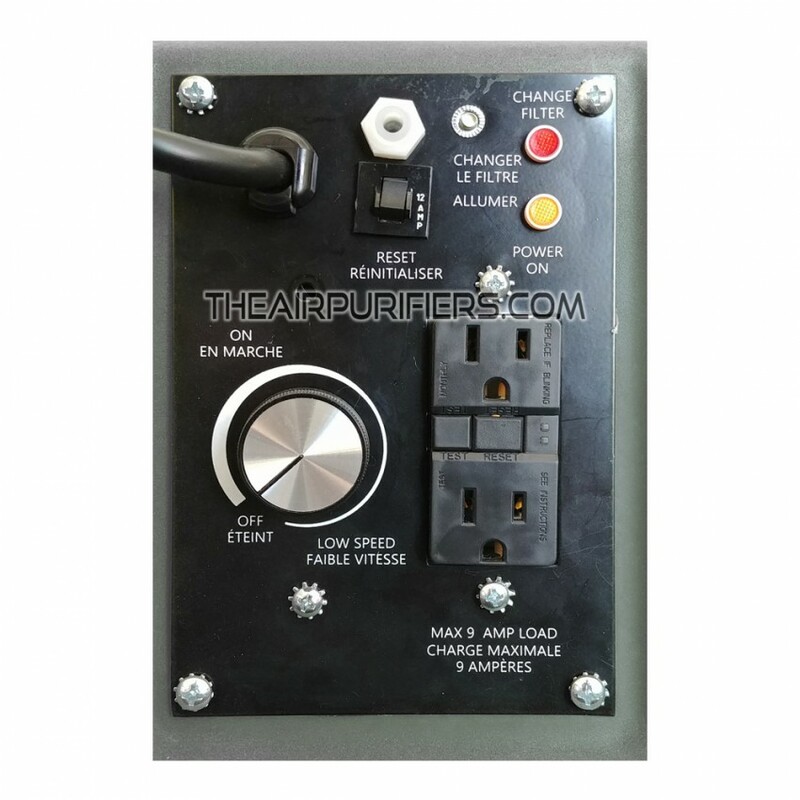 Amaircare AirWash MultiPro for Maximum Adsorption Capacity for VOCs, Formaldehyde, Heavy Chemicals, Heavy Smoke, etc. 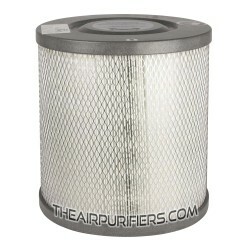 In this filter configuration the Inner VOC Canister with 5 lb. of adsorbent goes inside of the ULTRA VOC Canister with 25 lb. of adsorbent amounting the combined total to 30 lbs. of either 100% Activated Granular Carbon or Formaldehyde adsorbent, depending on your choice of VOC canisters. Inner VOC Canister 5 lb. 100% Carbon or Formaldezorb - 12 months. Ultra VOC Canister 25 lb. 100% Carbon or Formaldezorb - 12-18 months. Pleated Pre-filter MERV 8, 13" x 13" - 3-4 months. Media Pad Pre-filter - 2-3 months. Please Note. The service life is provided for normal operating conditions - may be shorter in commercial settings. 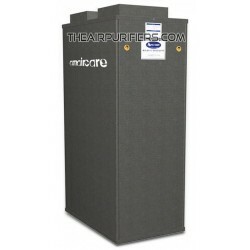 Amaircare AirWash MultiPro air purifier employs Thermally protected insulated motor with centrifugal fan. The one-piece Motor/Fan assembly is factory balanced to provide a vibration and noise-free operation. The level of noise ranges from 66 dB on Low to 86 dB on High at 6 foot distance. The variable rotary speed control with On/Off position allows to gradually change the delivered air flow from 250 CFM to an impressive 800 CFM on High. 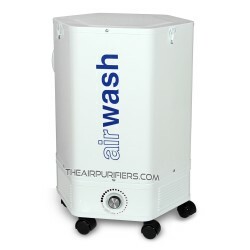 Due to the manufacturer policies, the AirWash MultiPro currently is not sold and not shipped in Canada. 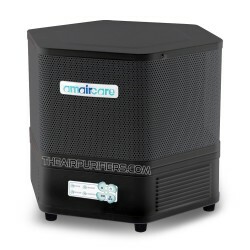 Amaircare AirWash MultiPro air purifier Ships Free by Ground delivery service in the Continental USA from the warehouse located in US. Faster delivery services are available at Extra cost. Carefully inspect the entire content of shipment upon arrival for possible damages in transit or missing items. If the problem is found, it has to be reported to the driver of the courier company. The detailed description of the damage or problem has to be written in the Delivery Receipt and reported to our company's Customer Service without a delay.